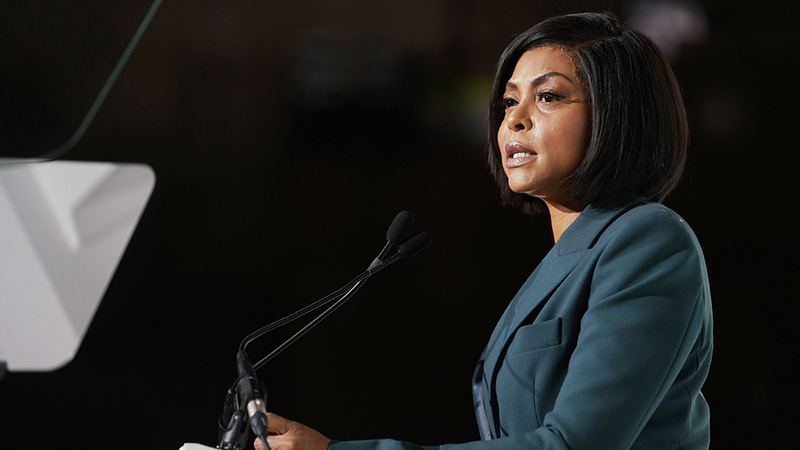 Taraji P Henson looked teary as she discussed suicide rates among young black people. Gigi Hadid did the same as she spoke about the fate of the Rohingya people in refugee camps in Bangladesh. The two were among five celebrities honored for their philanthropic work at Variety's annual Power of Women event in New York. Bette Midler spoke passionately about her restoration work cleaning up neighborhoods in New York City through the organization she founded in 1995. Singer Kacey Musgraves talked about the importance of arts education for young people. The annual event was hosted by comedian Michelle Wolf. Hadid was honored for her work with Unicef. The 23-year-old supermodel spoke not only about her experience in Bangladesh visiting Rohingya refugees from Myanmar, but her use of social media as a force for good. Henson choked back tears as she described mental health issues among young black people as a national crisis.